While some things do improve with age, it's sad but true that health isn't typically one of them. So when a substance is found to have negative health effects for teens and young adults, those findings should give all of us pause. Those of us for whom the ripe old age of 20 is a distant memory aren't likely to fare any better with these substances. It's easy for us who are older and wiser to assume that youth have endless amounts of energy. But teenagers and young adults don't always agree, and so they turn to energy drinks for an extra boost. Unfortunately, according to a Canadian study, this choice can have serious ramifications for their health. 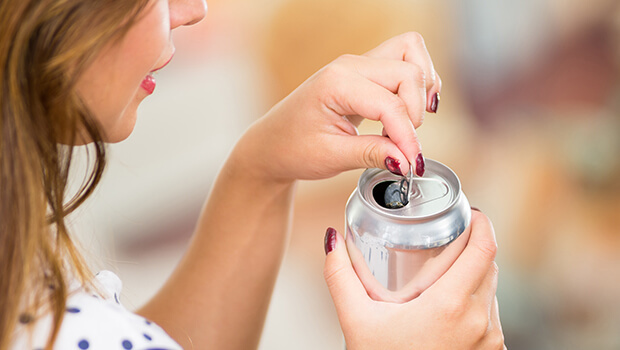 Researchers at the University of Waterloo surveyed over 2,000 Canadians between the ages of 12 and 24 about their energy drink consumption and its effects. Among the youth who had ever consumed an energy drink, over half (55.4%) said the drink affected their health in a negative way. Of these, 24.7% said the drink caused a fast heartbeat; 24.1% had trouble sleeping (no surprises there); 18.3% got a headache from the drink, while 5.1% had nausea, vomiting, or diarrhea; 3.6% had chest pains; and even 0.2% had a seizure after drinking one of these beverages. The problems were severe enough in 5% of the teens that they reported seeking medical attention! The researchers believe that these results should be used as evidence that these drinks shouldn't be marketed to youth. I agree. But I think we need to go further than that. If you find yourself needing these drinks in order to feel normal, there might be a problem. So check with your doctor. The most common reason for needing these drinks is weakened adrenal function. They don't teach this in medical school, so if your conventional doctor says everything is OK, but you still feel tired and run down, try taking Advanced Adrenal Factor, which can boost your adrenal function and your energy levels. Of course, one of the most common reasons for feeling run down is a lack of sleep. So, if you're having trouble sleeping because you struggle with racing thoughts or have difficulty relaxing, replace your energy drink with Advanced Sleep Formula. I bet you'll notice a difference right away - you might even feel like your 20-year-old self again!